M/s. 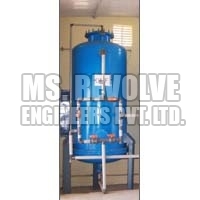 Revolve Engineers Pvt. 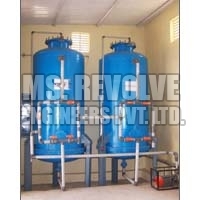 Ltd., an essential part of Revolve Group, is one of the leading manufacturers and exporters of qualitative water treatment equipments. Empowered with technologically advanced machines and well qualified team, we have grown in leaps and bounds in the industry. Owing to more than a decade of experience in this domain, we have achieved specialization in the manufacturing of Water Management System, Sewage Treatment Plant, Drinking Water Softener, etc. Today, we have carved a niche as one of the reputed Water treatment, Sewage Treatment Plant and Effluent Treatment & Recycling Manufacturers and Suppliers, based in India. In addition to this, we also offer water treatment plant maintenance services to the market. We are an ISO 9001: 2000 certified organization which is the manifestation of the premium quality of the water treatment equipment that we supply. Our client centric approach has assisted us in earning a long list of reputed clients, spread in every nook and corner of the world. Last but not the least; we always strive to sustain a pure and healthy environment with our high performance water and waste treatment equipments.